(1) Through the unique rules of the tournament component, 55+ proven tennis players (3.5 rating or higher) with or without a type of disability (other than requiring a wheel-chair which will be incorporated into next year's tournament) are equally encouraged to participate in this team event. Players need pay only a reasonable registration fee and they are in until the 56 team quota is filled. (2) Through the teaching and educational facets of the clinic component, young people as well as novice 55+ players (3.0 rating or less) are equally encouraged to participate. This is a free programme and will be limited only by the number of instructors that we can gather. (3) Our goal is to promote wellness among both Canadians 55 years of age and older and among children. Our tournament registration call continues. Don't miss out on the fun, prizes, and keepsakes if you meet tournament requirements. Check out our new sponsor, the Cape Breton-Victoria Regional School Board! Thanks for coming on board. On June 2, 2013, our early bird call ($50.00 per player) for the 55+ tournament ended. Thanks to all those who sent in their registrations. So, beginning June 2, the age 55+ player fee for new players will increase to $60.00 per player and will remain so until Wednesday, August 21, 2013. So, beginning June 2, the age 45-54 player fee will be $60.00 per player and will remain so until Wednesday, August 21, 2013. As previously noted, the fee for Canada 55+ registrants (until July 1), and for eliminated age 55+ Nova Scotia Open Players (until tournament day), will continue to be $50.00. IMPORTANT: As of today, eliminated 45+ Open players need pay only $50.00 as well until CCITC tournament day. Age 55+ players who ask to play in the age 45-54 group will be accommodated, if the organizors deem this exception to be practical. Age 45-54 players cannot participate in the 55+ group. PRIZES: Age 45-54 players will be placed in the same blind draw (winner names will not be re-entered) for the same prizes as previously advertised for the 55+ players. We have lots of wonderful prizes and more are on the way. No one will be disappointed and each player will receive a nice takeaway or two. We will also be providing free nutritional snacks (see below) during the entire day at all three venues to both tournament players and the children's clinics. So, again: You have until Wednesday, August 21, 2013 at $60.00 per player until a maximum of 56 teams is reached to register. In return you will play 6 round-robin matches, free additional exhibition/challenge contests, three days of games (two additional weather-delayed emergency days have been set aside), healthy snacks, and a guarantee of a nice takeaway or two. Our sponsors, noted above (click on the logos to go to their sites), have been extremely generous in providing help, prizes, and keepsakes for our Labour Day event. For example, Doctors Nova Scotia ,the Cape Breton Regional Municipality (CBRM) and the Cape Breton-Victoria Regional School Board (CBVRSB) have each donated enough money and assistance to ensure that our free children's clinic's (ages 6-16) are now fully funded and staffed with instructors. That means that all of your registration fees will be invested in the 55+ tournament itself. This is an all-volunteer effort and there is no paid staff. We have asked our sponsors for meaningful "living healthy" takeaways and below are several examples of the larger prizes to show what we mean. Between now and tournament day, many more small and large prizes and keepsakes will be added to the hopper. Our goal is to ensure that as many players and children as possible (if not all participants) receive a takeaway or two, and that daily blind draws for tournament players will ensure that this happens. thus showcasing, quality "living healthy" prizes and keepsakes of local origin. If any player receives a prize that they might wish to swap with another, the CCITC will encourage and facilitate this to ensure that everyone leaves Cape Breton with a wanted takeaway. Get ready for a celebration three centuries in the making! Join us in 2013 for a grand fete marking the 300th anniversary of the founding of Ile Royale -- modern day Cape Breton Island -- with Louisbourg as its capital. For information on events and activities, visit www.pc.gc.ca/louisbourg300 and like us on facebook at www.facebook.com/fortressoflouisbourgnhs "
"Enjoy the taste, smells and sights of the Fortress of Louisbourg National Historic Site as we celebrate Louisbourg300 in 2013! This prize pack includes a culinary history book of Louisbourg [$29.25] which was recently nominated by the Atlantic Book Awards for the Dartmouth award in non-fiction. In addition to many tasty 18th century recipes, the book includes a complimentary entry pass to the Fortress of Louisbourg [Maximum value $44.10] -- and what better time to visit than 2013! Also included, a Louisbourg300 commemorative canvas bag, pin and chocolate bar." " Cape Breton Post SmartEdition is a digital solution brought to you by NewspaperDirect, Inc. - the world leader in out-of-market newspaper distribution, enabling publishers to reach their readership through innovative digital and networking solutions. Cape Breton Post SmartEdition is the most convenient, complete and cost-effective way to read all your favorite newspapers on one site. With a subscription to Cape Breton Post SmartEdition, users gain access to newspapers on the day they are published. Cape Breton Post SmartEdition enhances your reading experience with a simple user interface and easy-to-use navigation tools." 12 month Subscription @ $119.40 each plus 30 days back issues. Each Prize: 6 market sized Lobsters, cooked. Yogurt portions or 100 mls yogurt drinks, <2% M.F. Now, read on for the summary and the details re the tournament. From August 31 (Saturday) to September 2 (Monday), 2013 - with 2 days following set aside for possible rain-delayed play. 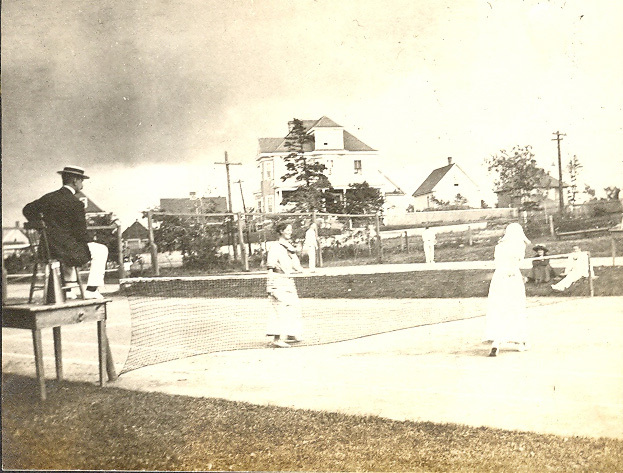 Cromarty Tennis Club (Sydney), New Waterford Tennis Club, Sydney River Tennis Club. Two or more players per team. Tournament Round Robin Play - each team guaranteed at least 6 tournament matches. Each match a best two (no-ads) of three set format with a first-to-10 points sudden-death tie-breaker for sets 1 & 2, and a first-to-10 points sudden-death set 3 if required. Team captains (but only those who have registered more than 2 players for their teams) can make substitutions on the fly to meet physical or strategic requirements. For teams with only 2 players, play proceeds for that team as in normal doubles play. Exhibition/Challenge Play - FREE exhibition/challenge matches will be arranged in the afternoons and evenings whenever practical if teams wish to play additional matches. Age 55+ players who ask to play in the age 45-54 group will be accommodated if deemed practical by the organizors. A player will be entered only once into either men's doubles, women's doubles, or mixed doubles. Minimum Tennis Canada 3.5 self-identified rating is required. The registration call is Canada wide. Canada wide call: June 2 to August 21 ($60.00 total fee per player). There is a special $50.00 registration fee until July 1. Interprovincial play within each division is the goal. Free exhibition/challenge matches can be arranged where practical. Free tennis clinics for children, juniors, and adults over 55 years of age (3.0 rating or less) such as spouses, etc. Instructors' appreciation week-end recognizing their contribution to the game of tennis. "Living Healthy" prizes will be given out. 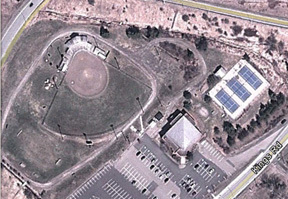 (A) The outdoor Cromarty Tennis Club (65 Cromarty St, Sydney, CB) will act as HOST and its club house as command centre. 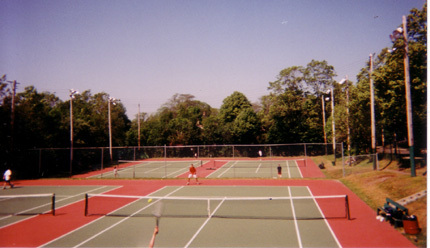 (B) The outdoor New Waterford Tennis Club (Breton Avenue, New Waterford) and the outdoor Sydney River Tennis Club (Kings Road, Sydney River) are the other two designated venues (with club houses). (C) Other outdoor tennis courts (without club-house facilities) in the vicinity will serve as emergency "back-up" venues if required. (D) The three designated venues will ensure that "living healthy" energy snacks and water (everything sponsor provided if possible) are available daily and provided free of charge. (E) All venues will be alcohol, drug, and profanity free. (i) To determine into which team age group you will be entered, we will go by your age as of Wednesday, August 21, 2013. (iii) Note: We could enter a team into the next younger team age group, but never into one older than what would normally be its assigned age group, but only if practical. (C) Each team may consist of two or more players, each player being of the age appropriate to the team age group. (D) Unfortunately wheelchair tennis cannot be accommodated for this tournament, but it is under review for the next tournament. (E) The draw will maximize interprovincial play within each gender/age group. (F) Duplicate age/gender divisions are possible given a large registration. (i) A player will be entered into only one division. (A) FEE SCHEDULE: Non-refundable PER PLAYER fee if your team is accepted for the tournament. (i) Register now to assure a spot. (B) THE GENERAL AND SPECIAL REGISTRATION CALLS: Valid only until the "doubles" venues are filled (56 teams maximum). (C) Players must be both registered in 2013 and be in good standing with a provincial tennis club, as of the CCITC tournament date. (1) Canada wide call: June 2 to August 21 ($60.00 total fee per player). (1) Players who have paid a tennis registration fee in 2013 for a sanctioned Canada 55+ Games Association event: January 16, 2013 to July 1, 2013, the total fee per player is fifty dollars ($50.00). (1) 2013 Nova Scotia Open Players eliminated in play between 6 P.M., Wednesday, August 21, 2013 up to CCITC tournament opening day: The total fee per player is fifty dollars ($50.00). (A) Latest possible deadline for registrations: 6 P.M., Wednesday, August 21, 2013. (i) Please note the exception (see above) for players eliminated from the 2013 Nova Scotia Open. (B) Please Note: The registration call may end at any time prior to 6 P.M., Wednesday, August 21, 2013 for any reason, including, for example, that the venue is filled or close, that the balance between off-island and on-island teams has been either met or needs to be tweaked, etc. (i) The Labour Day weekend tournament will accept a maximum of 56 teams. (A) All fees will be directed to tournament related matters only. (B) All tournament and staff positions are voluntary. (A) Round robin play with teams posted in a rotation schedule issued as soon as all the gender/age team groups are finalized. (i) The schedule will be posted on the CCITC website. (B) Guarantee of at least 6 matches, 2 matches per day minimum over a number of days, organized by gender, as well as by age group, and perhaps further defined by a self-identified team rating if appropriate to ensure team competiveness. (i) If teams request more games during the tournament, FREE exhibition/challenge matches and/or sets will be arranged if at all possible and at no additional cost. (1) Sudden death tie breakers will be first-to-10 points, with the standard turn of ends on the 6s, 12s, etc..
(1) Sudden death will be first-to-10 points, with the standard turn of ends on the 6s, 12s, etc. (1) The serving team may chose who serves, and whether to serve from the deuce or the ad side. (2) The receiving side may then afterwards chose who is to receive the serve. (3) Play must then ensue immediately, without further changes. (D) Scheduled tournament matches will begin each day at 8 A.M. sharp, and continue until dusk (or under the lights if necessary), unless otherwise scheduled. (E) It is understood that weather, delay of play, a full 56 game schedule, or other issues might alter the said format at any moment. (i) One or two days following the scheduled tournament days may be required for rain-delayed play. (A) Two (2) tournament points to the team winner of each gender/age group match. (B) One (1) tournament point to sudden death team losers of third sets of each gender/age group match. (A) Based entirely on total tournament points within each gender/age group. (B) Ties for first place within each gender/age group will remain ties. (i) There will be no umpires or officials overseeing each match, thus players will be responsible for making their own calls. (ii) Any team that registers with more than 2 players to its team, may, during a match, make substitutions on the fly (See later: Team Captains for details how this will work). (1) Each player serving for the first time in a match may serve up to 6 consecutive balls to get a first serve that is, visibly, clearly in. (2) If a server requires a 7th serve, the normal rules of serving for that player begins with that serve. (1) A good, general playing recommendation, based on common sense as to who has the better view, is that the receiver calls fault for serves down the server side lines that are wide, while the partner calls fault for serves along the server back line that are long. (v) A good, general playing recommendation, based on common sense as to who has the better view, is that players, following return of serve and thereafter during play, who are closest to any ball on their side of the court with respect to doubles sidelines and backlines determine whether the ball was in or out. (vii) First and second set tie breakers and third sets will be first-to-10 points sudden death. (viii) Only the player (or his/her partner as an over-rule) playing a ball may call a double bounce, and play will continue if that call is not made. (ix) Any player may call a let at anytime during play should a ball entering on, behind or beside either the serving or receiving side of the court be deemed a hindrance or a danger to anyone (in particular, if deemed a real or possible tripping hazard). (x) Any COURTSIDE DIRECTOR drawing attention to repeated foot faulting, will be treated with respect and the identified player will make a determined effort to correct this poor practice. (A) Winners (ties included) of each gender/age group will receive a free registration to the 2014 CCITC tournament. (i) The players on the returning team(s) must be registered in 2014 with the same provincial club(s) as registered with in 2013. (1) They can be the same or different players. (2) If the 2014 team(s) consist of more players than in 2013, the additional player(s) must pay the appropriate fee at the time of the 2014 registration. (i) Presently under review and will be announced in due time. (i) Out-of-Province playing slots (Upon consultation and where practical, these teams will receive first priority re times and location). (ii) Mainland Nova Scotia playing slots (Upon consultation and where practical, these teams will receive second priority re times and location). (iii) Cape Breton Island playing slots (These teams will fill all remaining playing times and locations as available). (iv) If a sufficient number of Cape Breton and Nova Scotia teams cannot be accommodated in the National Tournament, a comparable Nova Scotia Tournament might be organized sometime before the Labour Day weekend if the numbers were known early enough and venues were available. (A) Each team is an "unofficial" representative of its province and interprovincial rivalry will be encouraged in making up the draws. (B) More than one team per province is encouraged. (C) A self-identified Tennis Canada 3.5 (MINIMUM REQUIREMENT) to 7.0 rating is required to ensure a competitive tournament. 3.5 Able to move the opponent around the court or hit harder when receiving easier balls. Can execute approach shots with some consistency (more than 50%). Can return fast serves or well-placed serves with defensive actions. On easy second serve, can return with pace or directional control; can approach the net in doubles. Becoming confident at net play; can direct FH volleys; controls BH volley but with little offense; general difficulty in putting volleys away. Can handle volleys and overheads that require moderate movement. Can vary the speed or direction of first serve. Can direct the second serve to the opponent's weakness without double-faulting on a regular basis. (D) All expenses are the responsibility of the participant. (A) Each team will designate a playing captain who will chose the players, be responsible for their conduct, act as contact person for that team, and ensure that the team is not late for its match as found placed in the rotation schedule. (B) Each captain will be responsible, prior to the beginning of the tournament, for making players aware of the Tennis Rulebook and Local Exceptions described previously. (C) Captains (but only if their team has registered with more than 2 players) may substitute a player for another player within any game at any time and repeatedly to meet physical or strategic requirements (note: mixed teams must remain mixed during play at all times). (i) Substitutions must be prompt to ensure a normal rate of play. (1) Note: Any unsportsmanlike tactic designed to delay a game will not be tolerated. (ii) If a team has only 2 players, play proceeds for that team as in normal doubles play. (D) Captains will ensure sportsmanlike play in all aspects of the game. (E) In extreme cases, captains may request a COURTSIDE DIRECTOR to monitor play concerning issues of sportsmanlike play. (F) Extreme examples of unsportsmanlike play might result in the expulsion of a team without a return of registration fees. (G) Captains will ensure that play is alcohol and drug free. (i) Penalty: Expulsion of the team without return of registration fees. (H) Captains will receive a warning(s) whenever profanity is heard. (i) Penalty: Repeated warnings could result in expulsion of the team without return of registration fees. (I) Captains (winners and losers), after each match, will be responsible not only for submitting a SIGNED-OFF SCORE-SHEET to the COURTSIDE DIRECTOR immediately following the completion of each match but also for checking with the TOURNAMENT SCOREKEEPER that their own postings are accurate and remain accurate. (J) Captains will ensure teams arrive prior to their start, that the 5 minute warm-up whistle or alert be respected, and that matches start promptly upon the hearing of the start whistle or alert. (i) Captains will check in with the VENUE DIRECTOR upon arrival for their match. (1) Will not receive any points. (2) Will not have this match rescheduled for tournament play at a later time. (3) Will play this particular match, if able to do so, as an exhibition until the COURTSIDE DIRECTOR asks the two teams to cease play. (3) May, without further penalty, continue to play its later matches as listed in the posted rotation schedule. (1) Will receive an automatic win and its team tennis tournament two (2) points. (a) With the tardy team if now available. (b) With a backup team approved by the VENUE DIRECTOR until (if) the tardy team arrives. (iv) If both teams of a particular match arrive late, and this rotation spot has not already been re-assigned to two other tournament teams, they may play the match as an exhibition until the COURTSIDE DIRECTOR asks the two teams to cease play. (1) Neither team will receive any team tennis tournament points. (v) If both teams of a particular match arrive late, and the rotation spot has already been re-assigned to two other tournament teams, they may later play the match as an exhibition at any day's end when/if courts become available and if approved by the VENUE DIRECTOR. (A) At the end of each day, if courts become available, any registered team may arrange through the VENUE DIRECTOR a FREE exhibition/challenge match with any other willing registered team, or if one is not available, with any local unregistered team that is available. (B) The VENUE DIRECTOR will determine if any exhibition/challenge match will be a single set or sets (with ads or not), or a tie-breaker (whether standard or modified). (A) Each registration payment must include a signed standard waiver releasing the tournament organizers "from any and all responsibilities or liability for injuries or damages resulting from a player's participation ....", etc. (B) Clinic participants must have a self-identified Tennis Canada rating of 1.0 (beginner) to 3.0 (See below). (a) Cape Breton Island registrations for children and juniors (Ages 6-16) accepted until 6 P.M., Wednesday, August 21, 2013. Started, but has difficulty playing. A lack of consistency rallying. A lack of consistency. A lack of consistency. A lack of consistency serving. Can get the ball in play but lacks control, resulting in inconsistent rallies. Often chooses to hit forehands instead of backhands. Tends to position in a manner to protect weaknesses. Inconsistent return. In singles, reluctant to come to the net. In doubles, understands the basic positioning; comfortable only with the forehand volley; avoids backhand volley and overhead. In complete service motion. Toss is inconsistent. Double faults are common. Can rally consistently 10 balls in a row, especially on the forehand, with an arched trajectory over the net when the objective is to hit to a partner at moderate speed. In singles, consistent when returning towards the middle of the court. In doubles, difficulty returning cross-court to start the point. Becoming at ease at the net in practice but uncomfortable in a game situation. Attempting a full service motion on the first serve. First serve in inconsistent (less than 50%). Uses an incomplete motion to ensure a steady second serve. Able to rally consistently 10 balls in a row on forehands and backhands. Able to maintain the rally when receiving high, short or wide balls, assuming the ball is received at a moderate pace, especially on the forehand stroke. Can control the direction of the ball in both singles and doubles, when receiving a serve of moderate pace. Very consistent on forehand volley with easy balls, inconsistent on backhand volley. Overall has difficulty with low and wide balls. Can smash easy lobs. Full motion on both serves. Able to achieve more than 50% success on first serve. Second serve much slower than first serve. (A) Each voluntary tennis clinic registration must include a signed standard waiver releasing the tournament organizers "from any and all responsibilities or liability for injuries or damages resulting from a player's participation ....", etc.